That’s the thing about boundaries- they never come to an end. The moment you cross one line, there is another which stands still ahead. But we are not talking about restrictions, no. We speak of boundaries which need to be crossed. Desperately and solely. These are the boundaries that keep us rigidly from achieving the greatest thing we were meant to achieve- us. It’s a story about crossing boundaries. Slate and brick. These were the main ingredients, necessary for the “Architecture in London” building this new splendid project. 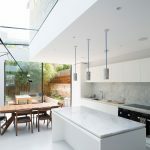 It’s an extension to a house in the capital city, which even being a bit narrow creates space and welcomes light in it. All natural themselves. 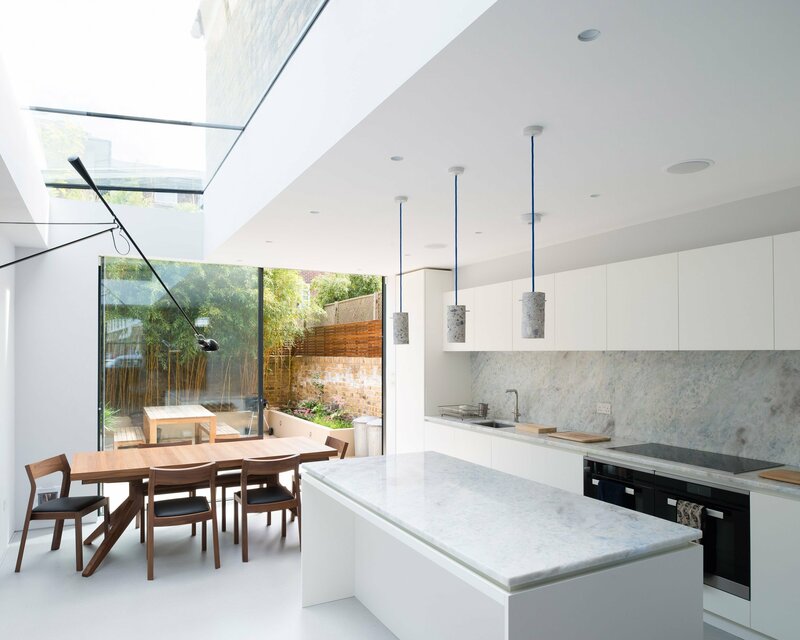 This particular extension actually of two contrasting ones, created to adjoining houses in East London for that matter. This happens while architects use pale brick for one and dark slate or the other. 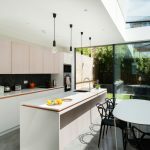 Recently we notice that there are quite a lot of demand for contemporary house extensions not only in London but all around cities which could not afford widespread new buildings, covering large areas of space. 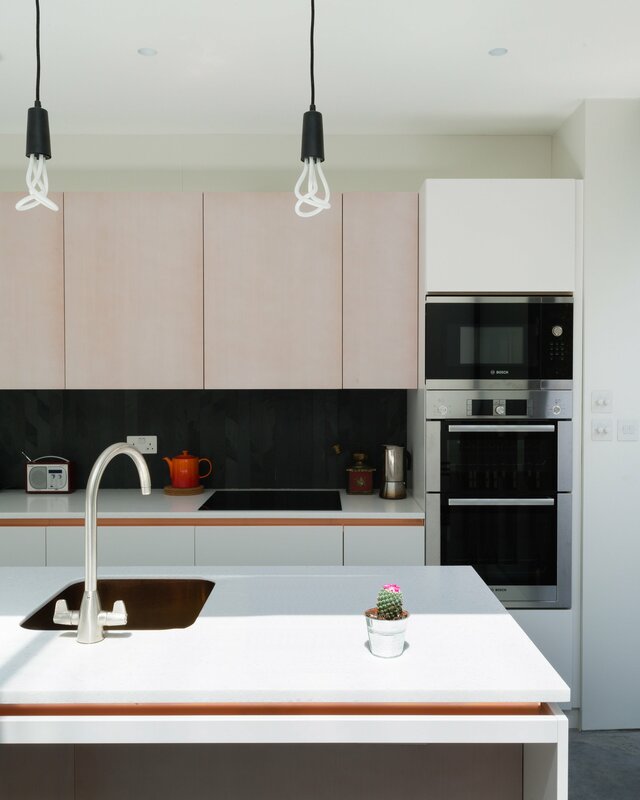 So here the architecture company basically connects neighbourhood properties which wanted to extend their attached spaces- the Tower Hamlets Tandem project. 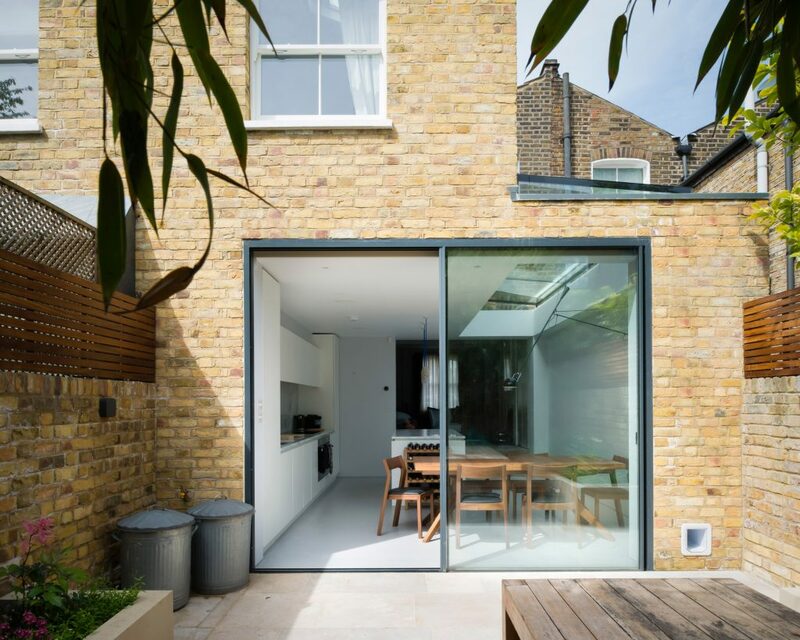 At first, the architects add a two-storey brick extension, which was chosen to match the local material palette. The other added thing was the single-storey side-infill topped with s skylight on either side. The minimalistic features of the dwelling create a stunning and one of a kind performance and experience for all the inhabitants. For that we are sure. 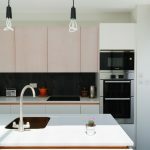 Even by a single glimpse of this place, one can be sure that it is a minimalistic experience which could inspire for work, for dreams and for quality home spending time. 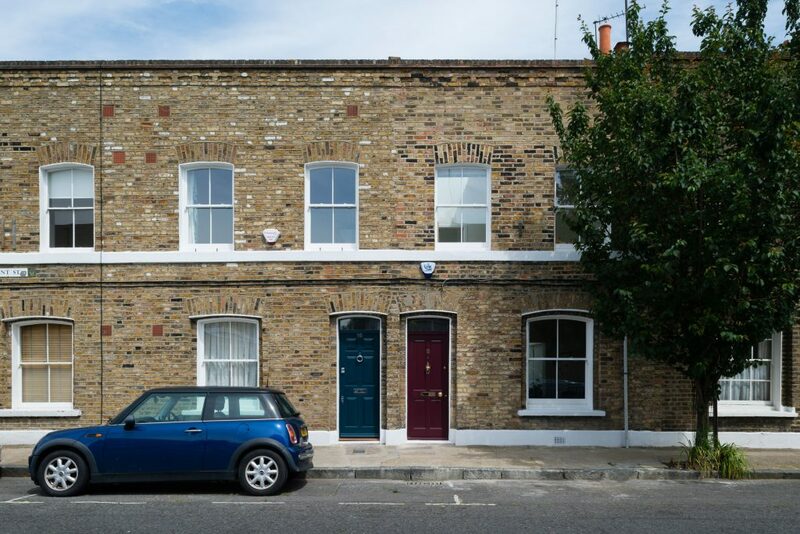 Since we mentioned that the extensions connect two contrasting neighbourhood dwellings there are additions which are identical in shape and size. But in the same size, there are features which the architects decided to be different to the exterior and interior of each one of the properties- different finishes to reflect the neighbours’ individuality. One of the houses was opted for a plain black exterior with sliding glazing. Inside, an aggregate flooring covers the kitchen floor. Another addition is the cabinets in this same room. They come in white as well having the idea for good worktops. 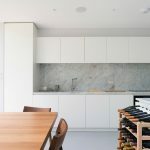 One of our favourite parts of this dwelling are the smoked oak floor boards, which continue all along the house, creating warm feeling going hand in hand with the light-filled atmosphere. And there it is- the second house of the main project. 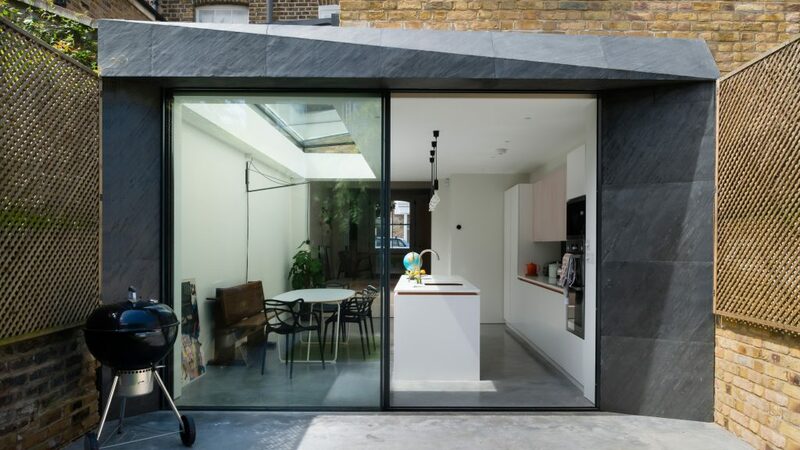 It is a garden-facing gem extension which is clad in pieces of titled slate. 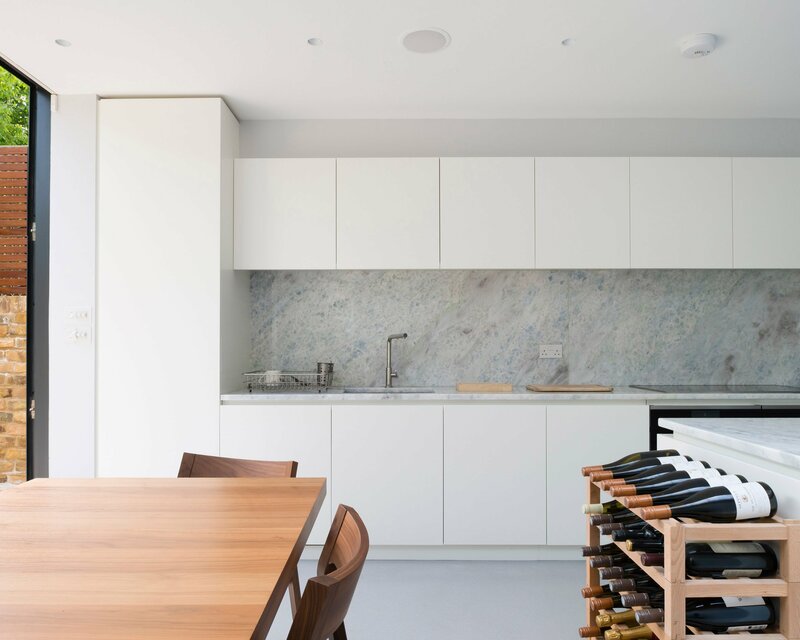 Soap-washed boards cover the floor of the living room, matching the cupboard in the kitchen behind. This fusion is based not only to thinking but also in reflecting the needs of the inhabitants. 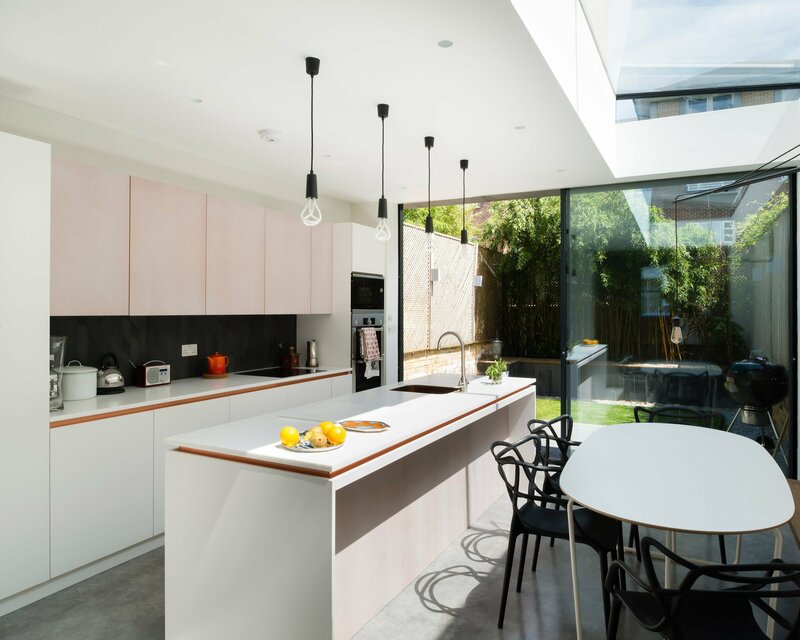 The kitchen goes with a concrete flooring alongside with a copper detailing. Ply edges and other natural materials combine with the rest of this premise and create a slightly detailed exposition which is pleasant not for the eye but also to the senses and needs. By the extending side by side the residents of these homes are sharing overall costs which is result of a perspective economic model and also practical budget-thinking. There is a particular massive inner event here with this project. And there is a word for it – practical! It’s a boundary-crossing happening that shows a high level of pragmatism and willingness to combine different tastes and wishes of the inhabitants.